Pruning for the production of fruit is highly specialized. Our Certified Arborists can help your Apple, Peach, Plum, Cherry and Pear trees yield a better crop! 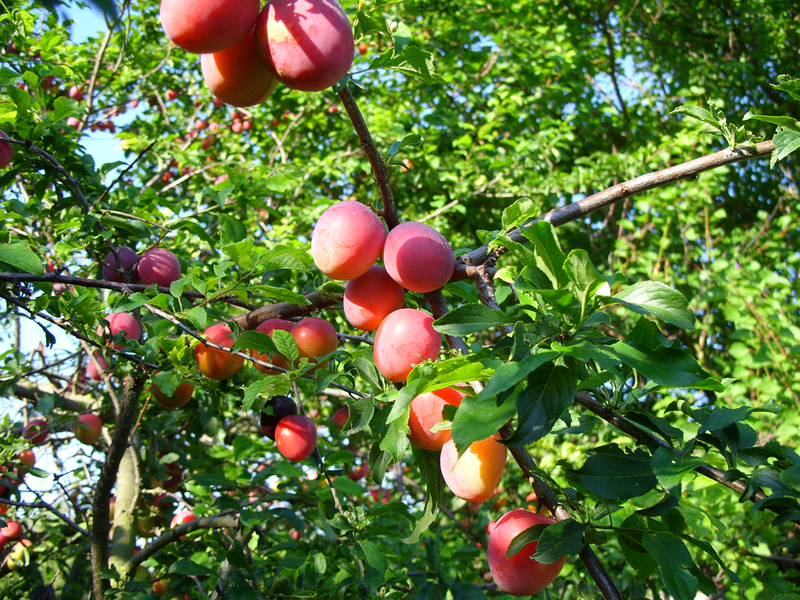 Regular pruning of fruit trees creates a higher quality of fruit for consumption, pie-making and jams. A "Fruit Production Prune" accomplishes all of these objectives to produce larger, tastier fruit! A "Complete Prune" includes the removal of dead branches, broken and diseased limbs that are 1/2 inch in diameter and larger. We also thin the canopy to remove conflicting or crossing limbs. The tree is pruned to establish scaffolding limbs on its lower portion, which allows easier access to the fruit for picking. To keep the branches from breaking in wind and snow storms, pruning cuts are made near the tips of heavier branches to reduce their weight. We also clear the branches away from structures, pathways and service lines. We believe that a tree should "still look like a tree" when the pruning is done. To accomplish this, we literally go through every inch of your tree while performing services. We are the only company in the Denver metro area with these strict pruning standards.